South African retailers have started making a concerted effort to do away with wasteful plastics being used in their products, with both Woolworths and Pick n Pay announcing plans to do away with various practices. Woolworths recently announced that it aims to be rid of single-use plastic bags by 2020, giving the group a timeline to wean shoppers off of ‘wasteful’ plastics and put them on to something more environmentally friendly. Pick n Pay, meanwhile, is introducing 100% recyclable shopping bags by August 2018, also in a big push away from single-use bags. While these may seem like small gestures in the greater scheme of things – they will come at a huge cost to both stores and government, who makes money from the status quo. According to the latest tax statistics for 2016/17, the government collected R232 million in levies from bag sales. At 8 cents a bag, that implies that 2.9 billion plastic bags were purchased during that financial year. Ridding ourselves of plastic bags will effectively wipe this off of the government’s collection plate, but the loss to retailers is even bigger. Considering the average shop charges around 50 cents for a carry bag at the till – 42 cents minus the 8 cents that goes to SARS – that’s R1.2 billion a year that retailers could potentially be throwing away in their bid to stop the waste. While some costs will be recouped by the alternatives which will be put to consumers at a price, the fact remains that not as many will be sold – which is the point. South Africa’s plastic bag tax has drawn criticism from both sides of the argument – with politicians saying that the tax should be eliminated altogether, as it negatively impacts consumers and particularly the poor. Others have argued that the price point (35 cents to 75 cents) is simply not high enough to incentivise consumers to stop buying the wasteful carry bags, so it just blindly sends money into government coffers. However, breaking the SARS tax data down, it’s clear that the tax does work – to a degree. While 2016/17 tax collection implies the use of 2.9 billion plastic bags during the financial year, this is down from the 3.05 billion plastic bags used the year before – a drop of 5%. The hike in the levy may have had an impact. A sharp drop after a tax hike was also seen when the tax increased to 6 cents in 2013, when usage went from 3.8 billion bags to 2.8 billion bags – though this drop was significantly higher at 25%. The table below breaks down the use over the past 5 years. An application was recently brought to the Western Cape High Court, where the Stellenbosch University Law Clinic, Summit Financial Partners, and 10 other applicants asked to prohibit creditors from adding unlawful costs onto their accounts. According to Christo Jordaan of VDMA Attorneys, the application was centred on the so-called in duplum rule, which was written into the National Credit Act in 2007. The in duplum rule means, literally translated, ‘double the amount’, he said. “It specifies that interest on a debt will cease to run when the total amount of arrear interest has accrued to an amount equal to the outstanding principal debt. However, Jordaan noted that credit providers have found a loophole to side-step the in duplum rule and began charging ‘fees’, which fell outside of the scope of the NCA. By adding such fees to the outstanding amount – for example, administration and legal fees (as opposed to excessive interest) – the result is that the person in default ends up having to pay more than double of the amount of the initial debt, he said. Jordaan cited a recent case where a man loaned R12,000 in April 2011 at an interest rate of 34.4% per annum payable over 36 months. This meant he had to repay R745 per month in interest for 36 months, totalling R26,837. In 2011 the man defaulted and the creditor secured an emolument attachment order against his salary. The effect of this was that the man’s employer was ordered to deduct R732 a month until the outstanding debt of R11,685, plus costs, was extinguished. In 2017, six years later, the man wondered why his employer was still deducting R732 a month from his salary. The creditor informed him that he still owed more than R7,400. He then discovered that after six years of dutifully paying his monthly debt, he still owed more than half the original amount borrowed. In addition to the interest charges of R21,019, the creditor had loaded services, legal and other charges of nearly R6,500 onto his account. “Had he paid this outstanding amount, he would have paid a total of R33,000, almost three times the initial loan. South Africa still awaits judgement in this matter,” Jordaan said. “Thus, the courts need to provide clarity to determine what the in duplum rule consist of and what is excluded,” he said. Investec Life says its focus on innovation has helped the company issue cover to the value of R1 billion in the six months since its launch in 2017. “The stark reality is that we have a life insurance industry faced with a fundamental need to change. If it does not evolve to offer a more compelling proposition then any group with its own footprint within a meaningful client base can – and likely will – move quickly to close the gap with financial solutions that clients feel better meet their personal needs,” said Investec Life CEO, Michael Goemans. “The SA life market is an innovative and dynamic one. While it hasn’t always been as client centric as it could be, reduced complexity and increased levels of client personalisation and flexibility with the strong application of technology will be what defines a compelling proposition,” he said. “We have spent a significant amount of our focus looking at how we change traditional life products to better suit the private client. The flagship of the Investec Life product range, Mortgage Protection Cover challenges market convention with premiums that reduce every month as clients pay off their home loans. Clients only pay for the cover they need, freeing up savings that can be invested elsewhere,” Goemans said. Investec Life noted that more than 65% of clients took out insurance end-to-end online underscoring the trend towards personalised, self-directed services. Clients accessed the online application system at some interesting times – early mornings, late at night – even Christmas day. It said that the biggest product uptake has been on mortgage protection cover – one of five offerings in the Investec Life suite of products, along with life cover, disability, income protection and severe illness Cover. In one case, a 41-year-old client was able to take out R30 million in life cover on the Investec digital platform within 22 minutes. In another case, a client took out R6 million in Mortgage Protection Cover online in 3 minutes, Investec said. Sasfin and Saxo Capital Markets SA (SCMSA) management have acquired SCMSA from Saxo Bank, subject to certain precedent conditions. The transaction is in line with Sasfin’s quest to become a meaningful player in the fintech space through partnerships with other meaningful Application Programming Interfaces (APIs). The transaction, Sasfin said, will enable the financial services company’s clients to access a broader range of securities than what is currently available, locally and internationally, via mobile, web and desktop platforms or state-of-the-art portfolio management systems. According to Michael Sassoon, CEO of Sasfin, SCMSA enables investors to access global markets seamlessly. Kim Fournais, CEO of Saxo Bank, said: “The sale is part of our strategy to go deep in certain key markets ourselves and be present in other markets through strong partnerships. We have worked with Sasfin for many years and we are confident that clients will continue to experience the same well-known service and expertise. Sasfin is a very strong partner with a rich legacy in the local South African financial services sector and investing in Fintech businesses. We look forward to investing heavily in local infrastructure and development,” said Richard North, head of SCMSA. Goldman Sachs Group Inc will issue Apple Inc’s new co-brand credit card, according to a person familiar with the matter, as the investment bank deepens its push into consumer finance. Goldman Sachs’s arrangement with Apple would replace the technology giant’s previous deal with Barclays Plc, the person said, asking not to be identified discussing internal plans. The two companies are still formulating the product, the person said. Goldman Sachs is planning a deeper foray into the world of co-brand credit cards, a space that’s become increasingly competitive as banks ratchet up rewards to win business with retailers. The firm has been expanding into consumer finance through its new Marcus unit, an effort led by Harit Talwar, the former head of Discover Financial Services’ US card business. Goldman Sachs recently hired Scott Young and Anand Sivadasan, who had previously negotiated co-brand credit-card partnerships for Citigroup Inc, and Shailesh Mendonca, a digital marketing executive from Capital One Financial Corp. Spokesmen for Goldman Sachs, Apple and Barclays declined to comment. The Wall Street Journal reported on the new partnership earlier Thursday, saying a card could be released next year. For purchases over $999, Barclays also offers 18 months of interest-free financing. Apple has been expanding into finance through Apple Pay, which allows users to load their debit and credit cards into a digital wallet and pay with their phone. Since its debut in 2014, the service has attracted roughly 86 million consumers, according to Juniper Research. Last year, the technology giant launched Apple Pay Cash, a person-to-person payments platform that allows Apple to compete with PayPal Holdings Inc’s Venmo. Merchants have been slow to adopt Apple Pay, with just 35 percent saying they accept the service in a 2018 survey by Kount. That compares with 64% of merchants saying they accept PayPal, which is considered the leader in digital wallets with 237 million users. Mutual and savings bank Finbond on Wednesday delivered a strong set of results for the 12 months ended February 2018, increasing headline earnings per share by 81.2%, while operating profit from continuing operations increased by 57.3%. “Our continued successful expansion into the United States, strong focus on our core short term lending business, conservative lending practices, strict upfront credit scoring procedures, effective collections, an increased distribution footprint and a strong focus on customer service helped us achieve these exceptional results,” the group said. Headline earnings per share increased by 81.2% to 33.7 cents per share. Operating profit from continuing operations increased by 57.3% to R439.5 million. Loan and other fee income increased by 46.3% to R841.3 million. Earnings before interest, taxation, depreciation and amortisation (EBITDA) increased by 52.2% to R704.5 million. Revenue from continuing operations increased by 53.5% to R2.38 billion. Number of loans advanced grew by 26.6% to 1,880,108 (Feb 2017: 1,484,973). Value of loans advanced increased by 31.7% to R5.4 billion (Feb 2017: R4.1 billion). Finbond said it expanded its overall branch network by 22.2% to 672 branches, of which 415 branches are in South Africa, up from 379 a year ago, while the group also has a strong presence in the US with 257 branches (Feb 2017: 171). “We increased our presence in the North American short term lending market with the acquisition of a further 86 short term lending stores in the United States of America,” it said. “Finbond’s consistent conservative approach has ensured sustainable growth in the micro credit portfolio that is not driven by advancing larger loans or increasing the term of loans,” it said. During the period under review Finbond’s average loan size was R1,479 with an average tenure of 3.7 months. For the twelve months ended 28 February 2018, it granted R1.6 billion worth of loans and received cash payments of R2.5 billion from customers. Finbond pointed out that its average loan period is significantly shorter than its larger competitors and its average loan size significantly smaller. “Given this conservative approach, Finbond does not have any exposure to the 25 – 84 month, R21,000 – R180,000 long term unsecured lending market that continues to cause significantly increased write offs, bad debts and forced rescheduling of loans. Looking Ahead, the group said that its evolution from a short term micro finance institution to a bank in South Africa and its continued expansion into the North American Short Term Lending market in the implementation of its strategic action plan will ensure that it achieves good results in the medium to long term. “Sustained focus on our core competencies will keep us on course to become the best short term instalment lender in the world,” it said. The South African Post Office has announced the transfer of over 1 million social grants beneficiaries from the outgoing CPS Sassa card to the new Sassa card issued by Postbank. In a statement released on Tuesday (26 June), SA Post Office COO Lindiwe Kwele said that this figure did not include those beneficiaries that have willingly opted to take-up Postbank Mzansi accounts as their preferred payment method. She added the that the old white Sassa card will be fully phased out by 30 September, and that beneficiaries should swap it for the new gold Sassa card. The new Sassa card is gold in colour and has the country’s coat of arms on the right hand side as well as the letters ‘SASSA’ inscribed on the left. “The Post Office and Sassa have deployed teams throughout the country where dedicated temporary card swap sites are established using existing infrastructure such as municipality halls to expedite the migration to the new card,” she said. “This will ensure that as many people as possible are put onto the new Sassa cards before the end of August. We call on social grants beneficiaries to swap their cards and to not leave it to the last minute,” she said. According to the Post Office it takes approximately three minutes to be issued with a new card once you reach the card issue desk on site. It added that Post Offices nationally will soon also become a card swap channel and the Post Office will issue announcements to social grants beneficiaries once this is possible. “We have seen people being unwittingly persuaded to accept other cards only to realise later that they will be charged all sorts of exorbitant fees. The new gold Sassa card guarantees that you will not be debited with a monthly service fee of R10, or more, or illegal deductions for loans, airtime or electricity,” said Kwele. 1 free ATM balance enquiry per month. “Beneficiaries exercise their method of payment, so that no one is locked in for life. Should any beneficiary wish to change, then all they need to do is to go to a SASSA office or a pay-point as soon as possible with their ID and tell the officials on site that they want the new SASSA gold card,” Kwele said. PSG Insure, a division of JSE-listed PSG Konsult, announced on Monday that it has successfully completed the integration of its substantial new team of commercial advisers. These are the professionals that joined the company following the recent transaction with Absa Insurance and Financial Advisers (AIFA). The transaction was announced in September 2017 and saw PSG Insure acquire AIFA’s commercial and industrial insurance brokerage business, with a total of 31,000 new clients. On the back of this, PSG Insure announced in February that it will also acquire the remainder of AIFA’s face-to-face advisory short-term insurance brokerage business, which services a further 32,000 clients. This transaction is currently in progress and will be completed later this year. “The augmentation of our commercial advisory force – coupled with the planned expansion of our personal lines network – further enhances PSG Insure’s footprint across South Africa. This, in turn, strengthens our value proposition to clients,” said Bertus Visser, chief executive of distribution at PSG Insure. “Integrating such a large number of advisers and their clients into our business as seamlessly as possible has been a major project. It’s one which I’m glad to say has been successfully completed, and we expect the second transaction to run on a similar basis,” he said. PSG Insure offers short-term insurance solutions for individuals and businesses. Despite low economic growth environment across most markets, Rand Merchant Investment (RMI) delivered a 14% increase in normalised earnings from continuing operations for the year ended 30 June 2018. RMI’s investments include Discovery (25%), MMI Holdings (26.2%), Outsurance (88.6%), Hastings (29.9%), and its fintech arm, AlphaCode with its next-generation investments in Entersekt and bitcoin company Luno. It reported profit for the year from continuing operations of R4.27 billion, up 14%, with diluted headline earnings per share of 265 cents per share, up 15%. The RMI board resolved to declare a final dividend of 65 cents (2017: 65 cents) per ordinary share. Discovery, RMI noted, delivered a strong performance, with normalised earnings increasing by 16% to R5.4 billion. MMI’s results however, disappointed, down 12% in normalised earnings to R2.8 billion. RMI included normalised earnings of R778 million from UK insurance firm Hastings for the year ended June 2018. Hastings announced its interim results for the six months ended 30 June 2018 on 8 August 2018. The claims ratio of 73.8% was better than the target range of 75% to 79%, despite the impact of adverse weather conditions experienced in the first quarter of the calendar year. The claims ratio is the percentage of claims costs incurred in relation to the premiums earned. Hastings recorded a sustained increase in clients, with live client policies increasing by 6% to 2.7 million and market share growing to 7.5% of the UK private car insurance market. Hastings declared an interim dividend of 4.5 pence per share, an increase of 10% on the interim dividend in the prior year of 4.1 pence per share. Normalised earnings from Outsurance, including its shareholding in Hastings, increased by 22% to R3 billion, mainly due to favourable claims conditions throughout all major operations and higher associate earnings from its indirect interest in Hastings, RMI said. Excluding Hastings, normalised earnings increased by 7% to R2.6 billion. The cost-to-income ratio improved from 25.8% to 25.6%, primarily attributable to cost-efficiency in Youi (You Insured), which is also based in Australia and New Zealand. Outsurance achieved a normalised return on equity of 31.4% and a claims ratio of 49.8%. The claims ratio benefitted from lower motor claims and favourable weather conditions, RMI said. Outsurance increased its final dividend by 45% to 33 cents per share, mainly due to Youi paying its maiden dividend in Australia. RMI will also receive a further R236 million special dividend from Outsurance, being surplus capital arising from the implementation of the SAM regime. Looking ahead, RMI said that Outsurance will focus on growing its market share and product range in Australia. It will also enhancing digital capabilities and infrastructure. “Outsurance has materially increased its investment in the group’s technological capability and digital skills as it aims to more rapidly digitise its client experience across all products,” RMI said. RMI added that it will look to earnings diversification. “The disruptive threat of autonomous vehicles, ride-sharing and continuous improvements in vehicle safety is material to the size of the vehicle insurance profit pool. Although this threat is of a long-term nature, it is important that the group’s future dependency on motor insurance is reduced,” it said. In addition to optimising its existing portfolio, RMI plans to diversify and modernise its investment portfolio through opportunities across a wide spectrum of scale and lifecycles of financial services businesses, the group said. FNB has announced that for the 12 months through to June 2018, FNB customers have sent a massive R21 billion through their e-Wallets – a 41% jump compared to the previous year. The bank said that the ‘sends’ were generated from 6.1 million active wallets, of which nearly 2 million are regular users. This, FNB said, demonstrates the important gap eWallet has filled for consumers who may have found it as an alternative to traditional low-cost bank accounts offered by banks. “Our analysis of regular eWallet users has shown that there’s still a gap in the market when it comes to solving the banking needs of unbanked and underbanked consumers,” the group said. The bank launched its ‘upgraded’ eWallet account, eWallet eXtra, earlier this year, which is claims is a completely digital mobile-only banking account. The account carries no monthly fees, and can be opened via mobile phone. The product was launched to broaden the group’s accessibility to customers who still use feature phones, despite ever-increasing smartphone penetration in the country. “Digital is key to solving the needs of customers who may be financially excluded due to limited infrastructure, among other reasons. We’ve seen this through the success of eWallet and anticipate the trend to continue with eWallet eXtra,” FNB said. The mobile bank account provides a daily limit spend of up to R3,000 and a monthly limit of R24,000, and debit orders are not allowed on the account. Aas many as 16,325 carjackings were reported in the period, a decrease of 2.3% from the 16,717 cases in 2017. Statistically, this means that 45 cars are hijacked every day in South Africa. Forbes has published its annual Midas list, looking at the world’s most successful venture capitalists. The list is a data-driven ranking of the world’s 100 top venture capitalists based on all exits (IPOs or acquisitions) above $200 million and private companies valued at $400 million or more over the last five years. Forbes and partner TrueBridge assessed an investor’s involvement in each deal and put a premium on newer exits and returns that reflect bigger and bolder bets. Each year, the Midas team reviews submissions across hundreds of partners and dozens of firms. Unsurprisingly the list was dominated by American and Chinese investors, with Alibaba remaining the top driver of value for Midas List investors following its $25 billion IPO in 2014 – the largest in US history. Despite a series of setbacks throughout 2017 and continuing into 2018, Uber remains the second biggest value drivers for the Midas List and one of the highest-valued private companies in the world. Rounding off the top three was ride-hailing platform DiDi Chuxing, which jumped significantly from its 8th ranking last year after closing a fresh $4 billion funding round in December 2017 at a valuation of $56 billion – making it the most valuable startup in the world as of January 2018. This was reflected by this year’s number one on the Midas list, Neil Shen, head of Sequoia Capital China, who invested in major Chinese players Alibaba and JD.com. Rounding out the top three was Bill Gurley (one of Uber’s best-known and most controversial venture capital investors), and Jim Goetz who has reigned for the last four years and returns in third this year due to his investment in WhatsApp. The lone South African on the list is Roelof Botha – highly ranked at number 14. The former PayPal CFO and partner at Sequoia Capital jumped up 20 spots after making a return on last year’s Midas List. “Taking an early risk on YouTube, Botha has continued to invest in startups with a ‘clear-eyed vision’ including personal genetic testing company 23andMe and ticketing event platform Eventbrite, as well as MongoDB, which went public in October 2017 and Square, which as performed well on the market since its November 2015 IPO,” said Forbes. “As a grad student at Stanford, Botha stumbled into the role of entrepreneur when he was running low on cash and decided to join PayPal,” it said. Botha became chief financial officer at PayPal while earning his MBA at Stanford University. 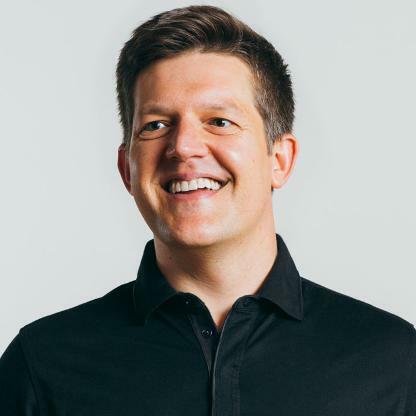 He negotiated PayPal’s sale to eBay for $1.5 billion and then jumped ship to Sequoia Capital where his most notable deal is in credit card processing business, Square. Forbes noted that the South African’s portfolio also ranges from database companies like MongoDB to the genetic testing company Natera, which went public in 2015. Botha was also an early backer of YouTube, which Google acquired for $1.65 billion. Botha has said he ended up at PayPal in part by chance. He came to the US in 1998, right after an emerging markets currency crisis that caused him to lose 40% of his savings overnight. In need of a job, he joined PayPal. 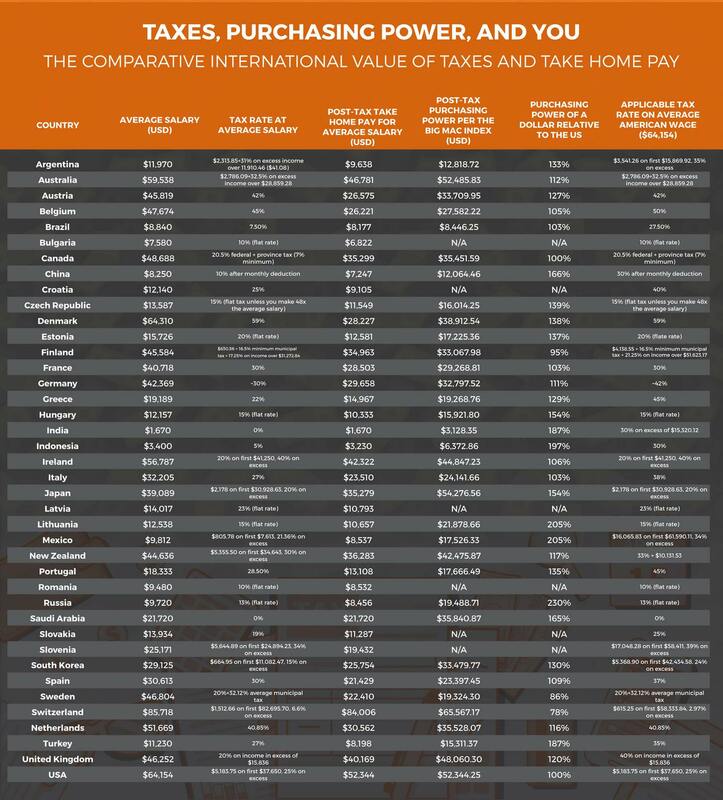 Relocation company, CapRelo, has published a new report comparing the average annual wage around the world. CapRelo examined a report from an intergovernmental economic organization listing the average annual salary for the countries assessed. After converting local currencies to their equivalent in US dollars, it was possible to compile a map which illustrates how much the average worker can expect to make around the globe. The countries in darker red are nations where workers are compensated the most. 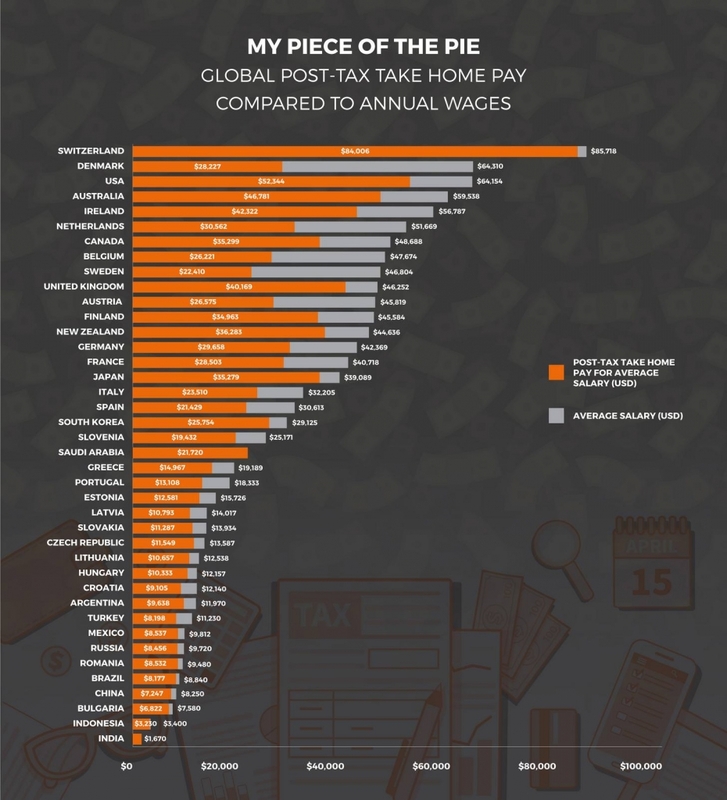 Unsurprisingly developed countries typically compensate their employees the best, with Switzerland paying out an average of $85,718 a year (R1,031,054). At the other end of the scale, workers in India can expect to earn just $1,670 (R20,087) annually. While countries like Denmark pay extremely well compared to other countries on the list, they are also known for high tax rates. CapRelo calculated this amount by taking post-tax earnings and dividing them by pre-tax earnings. Using this methodology the differences in take-home and nominal pay become much more pronounced. They did this using the Big Mac Index, a metric devised by The Economist that takes the price of a McDonald’s Big Mac in two countries to determine the relative value of money in each place. “As a result, we see that while somewhere like Russia has an average post-tax take-home pay amount equivalent to just $8,456, that money allows someone to buy the same amount of ‘stuff’ as someone with $19,488 in America,” CapRelo said. While South Africa does not feature in CapRelo’s report, it’s still possible to get an indication of where South Africa sits on the list, based on local data. According to BankservAfrica’s latest monthly data, the average take home pay in South Africa right now is R14,502. 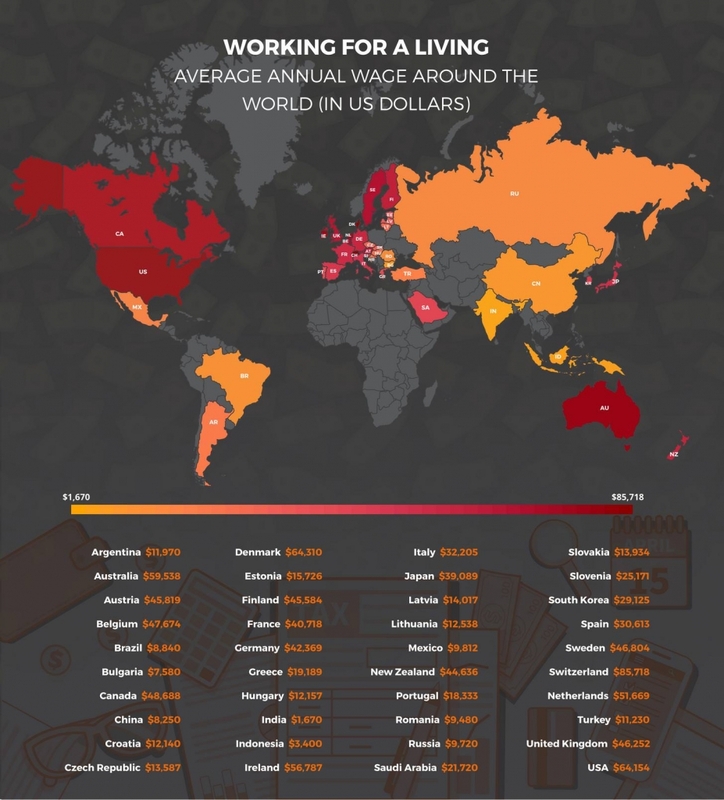 This equates to an average annual salary of R174,024 ($14,447) putting South Africa in the middle of the list, somewhere between Greece ($14,967) and Portugal ($13,108). While this is a somewhat surprising position for South Africa, it must also be remembered that employees in Portugal and Greece are earning in euros, which has a much stronger power relative to the dollar than the rand. South Africa has one of the most undervalued currencies in the world, where at January 2018 it was undervalued by 53.6%. This means that a South African in the US would expect to pay a lot more for the same product that would be less than half the price in their home country. While the rand is currently trading just over R12 to the dollar, the Big Mac Index assessment says it should actually be R5.68. In the US, a Big Mac sells for $5.30 on average in 2018 – in South Africa the R30 price is equivalent to $2.45. In other words, $1 in South Africa would be able to buy the same amount as $2.16 in United States, making South Africa’s average take-home worth $31,207, in terms of purchasing power. 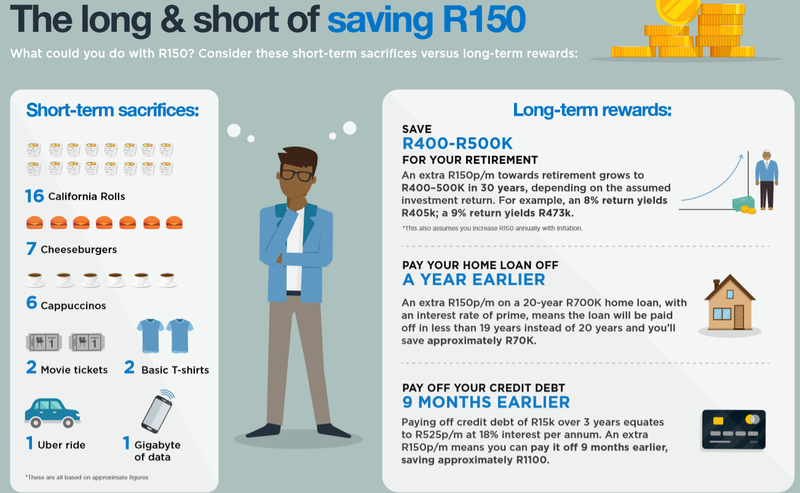 Many South Africans may feel that R150 is just too little to make a dent in their home loan or retirement savings each month, so end up spending their additional savings instead. However, André Wentzel, solutions manager at Sanlam Personal Finance, points out that over the long-term, that amount can become a lucrative payout. “It really helps to be able to visualise short-term rewards versus long-term pay-backs to understand the effect of compound interest and how small sacrifices now can make a big difference later,” he said. If you save an additional R150 per month towards retirement, this will accumulate to between R400,000 or R500,000 over a 30 year period, depending on what you assume the investment return to be. For example, an 8% return will yield R405,000 and a 9% return will yield R473,000, after investment costs. This also assumes that you increase the R150 per month in line with inflation each year, Wentzel said. On a R700,000 home loan, assuming an interest rate of prime (10.25%), the monthly instalment for a 20-year loan will be R6,608 per month. When contributing an extra R150 each month, the loan will be paid off in around 19 years instead of 20 and you’ll save approximately R70,000 in interest over this period. Paying off a credit debt of R15,000 over three years works out to a repayment of R525 per month (at an interest rate of 18% per annum). An extra R150 per month means you can pay it off nine months earlier, saving approximately R1,100 in interest. Wentzel said that practical exercises make the longer-term gains more concrete. “The trick to switching people’s thinking from a short-term bias to a longer-term one is to better articulate long-term goals and find ways to make these seem attainable,” he said. Over the past few decades, the average person’s lifespan has risen almost everywhere in the world. In China, the US and most of Eastern Europe, the average life expectancy at birth has reached the late 70s, according to the Organisation for Economic Cooperation and Development, or OECD. People in Western Europe and Japan, meanwhile, can expect to live into their early 80s. Most rich people, however, are counting on living even longer-a lot longer, as in two decades more than average. In a new UBS Financial Services survey, 53% of wealthy investors said they expected to live to 100. In the US, for example, the richest 1% of American women by income live more than 10 years longer than the poorest 1%, a 2016 study in the Journal of the American Medical Association found. For men, the gap between the richest and poorest Americans is almost 15 years. The rich also seem to know that living to 100 is a pricey prospect, one that requires more spending on health care, better food, exercise and other services that can lengthen life. Also, you have to keep paying for everything that comes from hanging around additional decades. Even the wealthy worry about rising health-care costs, the survey suggests. The world’s trend toward longer life has featured an exception in recent years – the US. The life expectancy of Americans has declined for two years in a row, an anomaly that can be blamed in part on the country’s opioid abuse crisis. But even before U.S. lifespans started slipping because of drug use, health and longevity statistics significantly lagged those of other wealthy countries in Western Europe and Asia. Perhaps it’s not surprising, then, that rich Americans surveyed by UBS had different attitudes from the wealthy elsewhere in the world—they were more pessimistic about making it to age 100. Just 30% of the American rich expect to hit the century mark. While they were the most worried about rising health-care costs, they were the least likely to be adjusting their finances for the prospect of living longer. If rich Americans aren’t planning for the extra costs of longevity, they could be making a mistake. Studies show that the wealthy in the US are increasingly insulated from the depressing health trends afflicting most Americans. A 2016 study by University of California at Berkeley professors Emmanuel Saez and Gabriel Zucman compared the death rates for American men aged 65 to 79 across several decades by wealth. If these men’s wealth placed them in the top 1%, their mortality rates in the early 1980s were 12% lower than average. Twenty-five years later, the wealthiest American men’s death rates had plunged to 40% below average. The South African Mint has officially launched two new coins which pay tribute to president Nelson Mandela. 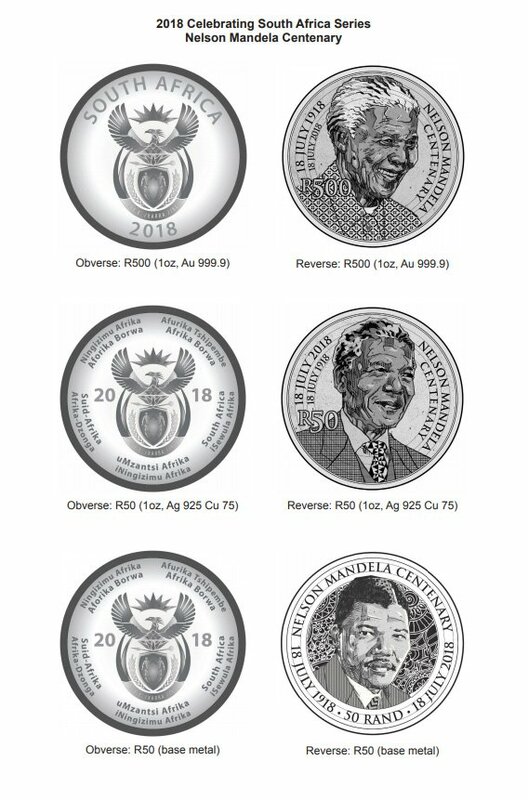 In a statement published on Monday (23 April), the SA Mint said that the coins are now available and can be purchased from the South African Mint’s retail store in Centurion, Elegance Jewellers in Melrose Arch and various pop up stores in malls around South Africa. The R50 bronze alloy depicts him as a young lawyer and the R50 sterling-silver coin, as he looked later in life as the country’s first democratic president. 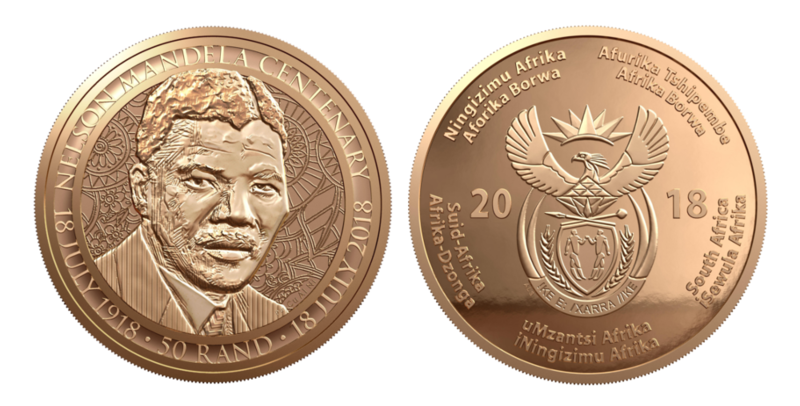 “To celebrate 100 years since the birth of Mandela, and in remembrance of the 27 long and lonely years he spent in prison, the entry level bronze alloy coin is priced at R127. With every coin purchased, R27 (VAT-free) will be donated to the Nelson Mandela Foundation,” Tshelo said. The two collectable coins are each packaged in ‘coin blister’ envelopes which bear images of Mandela over the years. 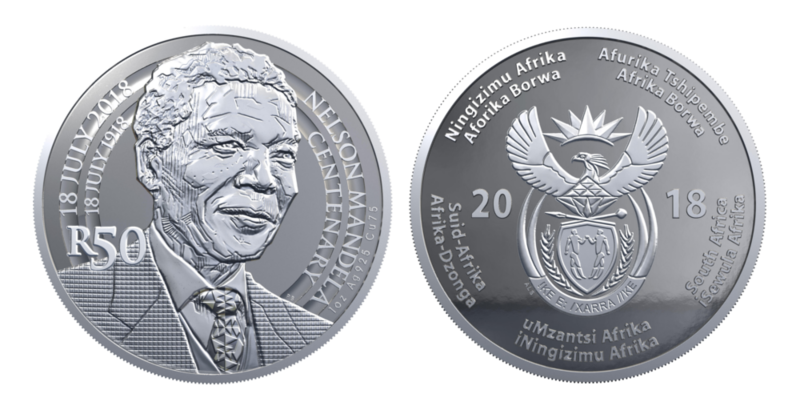 They form part of the wider ‘Celebrating South Africa’ series and the inaugural coin in the range featured Mandela’s comrade-in-struggle OR Tambo and was launched during his birth centenary last year. Tshelo added that the Mint will soon be announcing new products in the Mandela Centenary range that will ‘far exceed the expectations of both numismatics and aficionados’. The range includes a special-edition R500 gold coin, which the Mint has not yet launched.